This year in 2016 my goal this year is to once again read 200 books. I figured, it’s a safe number that over the past few years, I’ve been right on target with meeting. Well….it’s just now April and I’ve already read 105 books. Perhaps I should increase my goal. At this rate, I’m almost at my 2010 reading level. This is what happens when you work in a library and are surrounded by books 5 days a week. In addition to reading a certain number of books, my goal is to read at least 50 books by POC authors. I was very dismayed that despite reading over 200 books last year, I read only 8 books by non white authors. I didn’t change my reading habits at all last year so that means that without reading intentionally, I gravitate towards white authors, particularly white female authors. This year I’m being more aware of what I read. I’m not trying to fulfill a quota and just check off a box. But I want to diversify my reading and by reading at least 50 books by POC authors will help me see what else is out there. I’m trying to read more non fiction this year as well as, oddly, more male authors. Really anything out of my normal reading habits is fair game. I think I’d like to try to do a weekly post on what I’ve read this week. Not necessarily posting about EVERYTHING I’ve read but the top books of the week. I find that I personally like reading what others have been reading (especially if they post the covers) so I figure maybe other people would like to read that about me too. I’ll start off by posting the books I’ve liked best over the past 3 months. 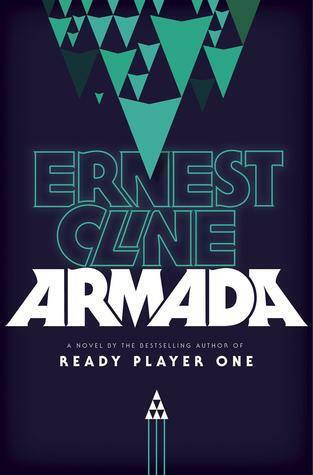 My blurb: I’ll start off by admitting that it’s not as good as Ready Player One and the ending comes REALLY fast in a slightly unsatisfying way. 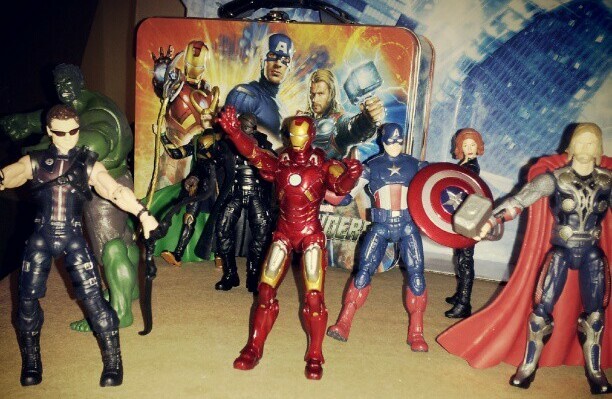 And there’s a bunch of namedropping of everything nostaglically pop culture. But it was still really fun to read and I couldn’t stop turning pages. If Cline writes another book, I do hope he veers away from this formula but I’ll be glad to read it as well. My blurb: Foodie fiction is my favorite kind of fiction. And look at that cover. 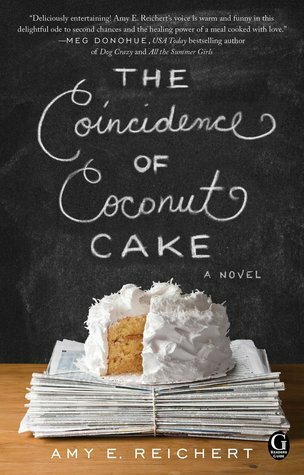 It’s a chick lit book, about a restaurant owner and a food critic, and miscommunication. And a lot of food. 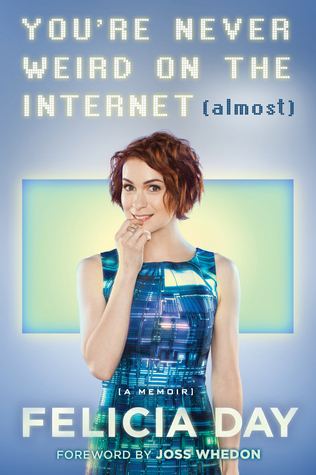 My blurb: Truth, I didn’t know much about Felicia Day before reading this book. I knew her name but I couldn’t figure out why she was so internet famous because I hadn’t really seen/heard much about her outside of the internet. But her book is delightfully geeky and even though I still don’t actually interact with things she’s in, it’s a great funny read. My blurb: I’m just going to say this is basically Prince William and Kate Middleton fan fiction with Kate being an American. I mean look at that cover. 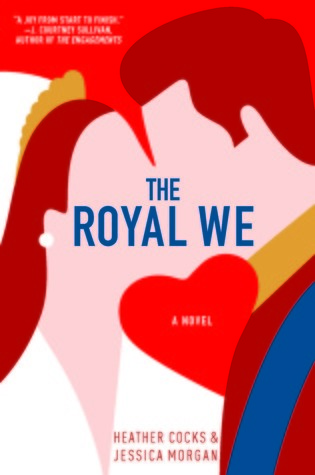 If you like the royals and you’re a Will and Kate fan, you’ll love this book. 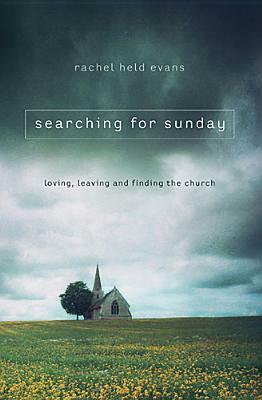 My blurb: I’ve loved everything Rachel Held Evans has written. While I don’t necessarily agree with EVERYTHING she says, I do think that her thoughts challenge what most Christians blindly believe and makes one take a deeper look at their faith. 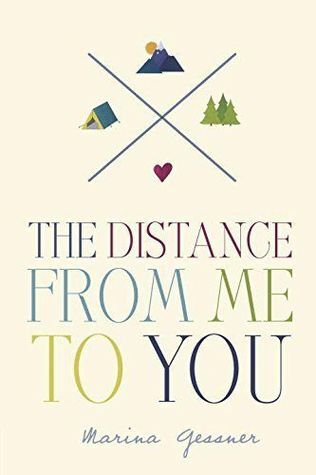 Some people never really think about leaving the church but for those who have, this is a fantastic read. 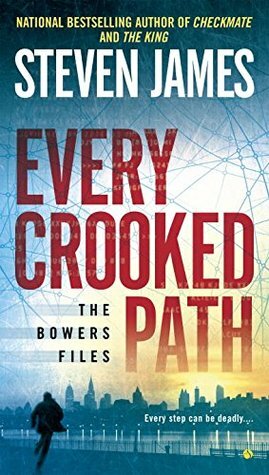 My blurb: Ever since I discovered Steven James about 8 years ago, I look forward to every Patrick Bowers book. I don’t care that this is as prequel to the main series and that I technically know what happens to Patrick, Christie, Tessa in future books. The story deals with child predators and child molestation so it can be an uncomfortable read at times. But it’s so gosh darn written well that you CANNOT put the book down. James is one of my favorite authors ever so I HIGHLY recommend these books. HIGHLY RECOMMEND. My blurb: This is a novel about a teenage girl hiking the Appalachian Trail by herself. I’ve had a friend hike it so it was really cool to know the lingo and recognize landmarks mentioned. I don’t have plans on hiking the trail myself but it was fun to live vicariously in this story. My blurb: This is glorious historical fiction that I love combined with a modern story that goes back and forth weaving the two together. I’ve never read a Mindy Starns Clark book that I haven’t loved (even her Amish fiction is SUPER good because it really isn’t Amish-y) and I couldn’t put this one down. 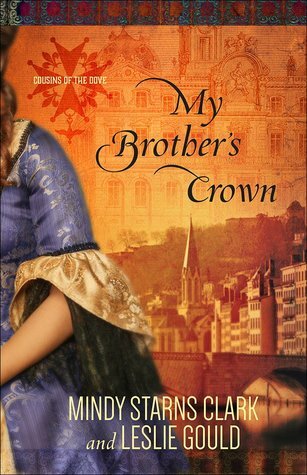 If you enjoy French history or just a darn good story, read this one. And then be left dying for book 2. 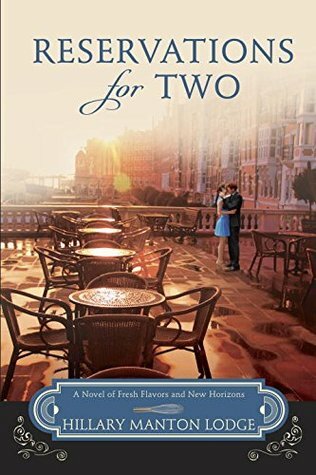 My blurb: More foodie fiction. And traveling overseas. And mentions of Doctor Who and Josh Groban. When does book 3 come out? My blurb: This is one of my favorite classics of all time. 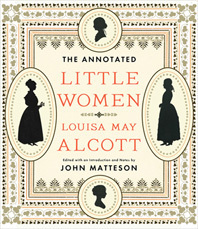 This version includes annotations throughout the story that add more insight to Alcott’s life and her writing. There are also colored pictures throughout the story including drawings from Alcott’s sister, pictures of historical artifact’s from Alcott’s life, as well as images from all the movies and Broadway show based on the book. If you haven’t read the book or it’s a been a while, this is a great way to experience it. Warning it’s a HUGE and heavy book, not for toting around everywhere. My blurb: I love to cook but there’s not way I could study to be a chef. Especially not at the hardest culinary school in the world. 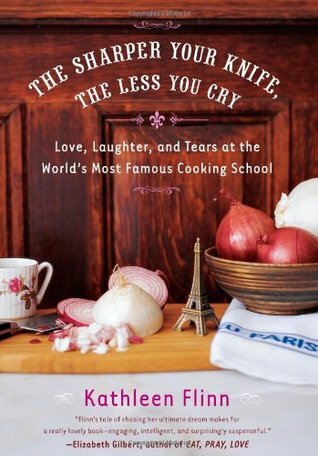 But it’s so fun to read and live vicariously through Flinn about living in Paris and training to be a chef. Plus there are recipes! Foodie memoirs are a delicious read. My blurb: Based on my Goodreads, I think I am the last of my friends to read this book. I’m honestly not quite sure why it took so long for me to read it. 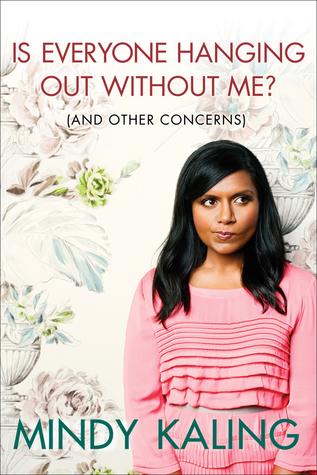 It’s really hilarious and I want to be Mindy Kaling’s best friend after reading it. I’ve already go her next book on hold for me at the library. My blurb: This is a reread of a Christian fiction classic and despite the fact that it was originally written in 1979, it’s still held up quite well today. It’s not groundbreaking or edgy by any means, but it’s a sweet read that’s very comforting. Better than those hacked up TV movies that are supposedly based on the books any day.